Are you looking for contractor companies in Singapore that can do partitions walls and false ceilings for your office and house? 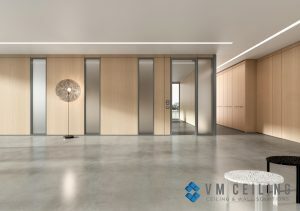 VM False Ceiling Singapore Partition Wall Contractor provides the best quote and unparallel service in drywall partitions, false ceiling, and other such underlying works. We are a highly qualified team of professional false ceiling contractor in Singapore assuring you a long-term service with our proficiency. We operate from an expanded state of the art facility that employs more than 100 staff members engaged in recreating your dream projects. Our team comprises of carpenters, apprentices, plasterers, CAD designers and well-managed office staff. 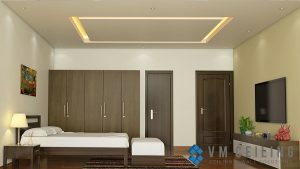 VM False Ceiling Singapore Partition Wall Contractor has been operating for two decades and has provided complete service in Ceiling and Partition Industry. Ours is one of the largest and structured workforces that believe in patiently listening and understanding the client’s requirements. We maintain only the highest standards in terms of quality, uniqueness, and innovativeness in our projects. Each project is unique for use. We plan sessions with our clients and arrange appointments with our best designers. We encourage our clients to take part in the designing session to bring more a personal touch to the overall design. Once we finalize a project, we conduct project discussions and evaluation sessions with our craftsman, so that we have a smooth and seamless installation. We are the leaders in the contractor business in Singapore. The reason behind this is our intricate detailing, specification, and teamwork ensuring to complete each project without compromise. We provide high-quality materials that are soundproof and fire resistant. As soon as the designs are finalized, the workmen are sent for a site visit and well-equipped with the raw materials needed. The measurements are taken and the raw materials are then sent to the factory for cutting and designing. We deal with plaster boards and gypsum boards. Our drywall partitions are installed in sync with the false ceiling to make it look realistic and cool. Whether you want to transform your house with an extra bedroom and en-suite bathroom or change the way your living room looks, our professionals will guide you throughout. Additionally, we recreate office work as well. We can divide the office place to add an extra space for the client. This extra space can be used as a warehouse or to store machinery. The soundproof partition wall gives you a peaceful place to work in. Why choose VM false ceiling and partition wall contractor? We pride ourselves in providing super-fast service as compared to any other contractors in Singapore. We understand the urgency of the work. Without compromising quality and design, we deliver the best service as fast as we can. Our workers and office staff are well trained and knowledgeable in terms of the latest designs and services. Our prestigious clients can easily contact us and check out our services. Do you want any other reason to contact us? Most of the contractors in Singapore are working without a registration. This may lead to some legal issues and turbulence. We are fully authorized and have a license to carry out the installation process. Our staffs also hold legal documents and ID cards in case you want to verify our legality! We hold experience in the false ceiling HDB field for over two decades. We are backed by a team of experts who know their job very well. Over the years we have acquired knowledge in working with the latest equipment and technologies. We keep updating our staff with the latest technologies as well. Thus, whenever our clients contact us, they are provided with newest and well-researched designs. Once we make a client, we get associated with them for the long-term. We guarantee only the best service along with maintenance services. We highly value our relationship with our clients. We provide guaranteed genuine workmanship. Call us today to get our latest quotes and recreate your dreams!